A range of lace making books which are second hand. These are priced and described individually. Second Hand Books There are 7 products. 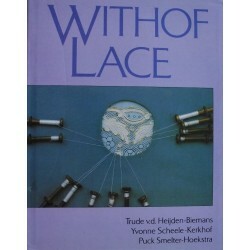 This book starts with the story of lace, and then leads the reader through the first steps of equipment and basic stitches. It contains many patterns with prickings and covers several different types of lace. This book is secondhand and used. 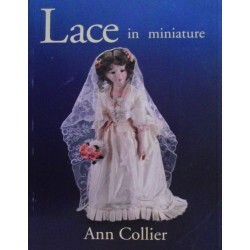 A colour-packed guide to making decorative lace and lace accessories, this book shows you how to create pieces which are not only appealing in their own right, but also suitable for use on dolls. The book in includes a large sheet of prickings.This book is secondhand and used. Many lacemakers regard their lace pieces as too precious to use. 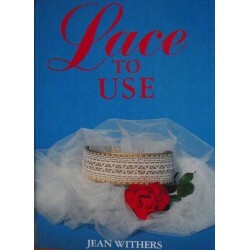 This book stimulates ideas for using lace in a manner which makes it easy to care for. Each piece is accompanied by a pricking and a full working diagram.The book in includes a large sheet of prickings.This book is secondhand and used. 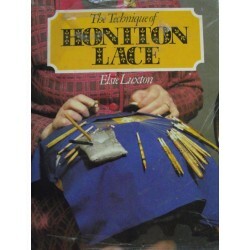 With over 40 Honiton Lace designs, each one orginal, this book is ideal for the lacemmaker who wishes to progress from the traditional range of Honiton patterns. This book is secondhand and used. 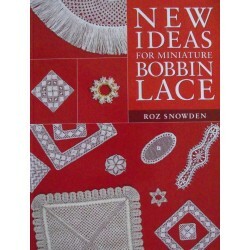 This delightful companion volume to the successful Miniature Bobbin Lace offers a portfolio of over 30 Torchon, Bedfordshire and Buckinghamshire patterns to make for the dolls' house. This book is secondhand and used. Although intended for the lacemaker with some experience, this book covers basic instructions for fillings, leaves and general technique. Contains 78 pattern prickings and 14 grid prickings.This book is secondhand and used. A non-continuous bobbin lace, Withof is an exciting form of Duchesse developed by students in the Dutch convent at Etten-Leur. This is a guide to mastering the technique for this elegant lace. This book is secondhand and used.